The baubles that Lauren Godfrey makes for her Harwell Godfrey jewelry label are certainly compelling. (Case in point: This stunner!) But it can also be said that the multi-talented lady behind the indie brand is also something to behold. With a past both in advertising and as a culinary wiz, the mother of one (Miles, 2) is also co-founder of the leadership council at Futures Without Violence, an organization that is currently building The Courage Museum in San Francisco. The pioneering museum will take visitors through a series of interactive experiences that dare them to rethink the causes of violence and how to end it. Given our current news cycle, it’s an incredibly compelling and important project to watch and help come to life. 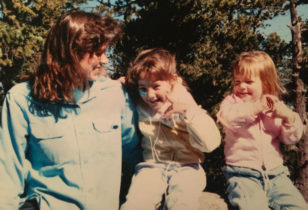 To share more on that and her other passions, check out Lauren’s Mother Essentials list, right here! Kristina Holey + Marie Veronique Skin Care Collection, $40 and up, Marie Veronique. Vintner’s Daughter Active Botanical Serum, $185, Net-A-Porter. Sleek Chelsea Ankle Boots, $550, Freda Salvador. Avec La Troupe Major Belt Bag, $276.50, Shopbop. 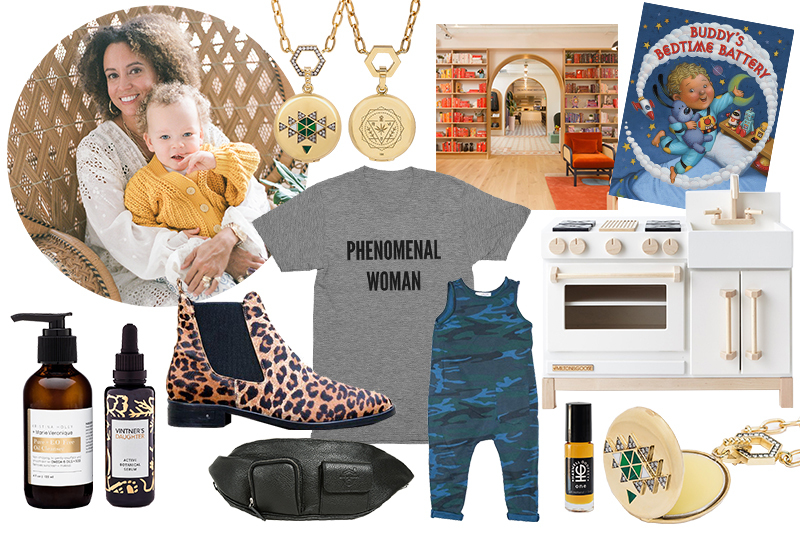 Phenomenal Woman T-Shirt, $35, Phenomenal Woman Action Campaign. Hemp Infused Lip Balm, $35, Vertly. Harwell Godfrey + Vertly Locket and Gold Chain, $13,900, Harwell Godfrey. The Wing Membership, $215/month, The Wing. Hugo-Camo Bodysuit, $40.80, Joah Love. Buddy’s Bedtime Battery, $14.32, Amazon. Essential Play Kitchen, $695, Milton & Goose. Harwell Godfrey Fragrance: One, $86, Harwell Godfrey. Futures Without Violence, donations accepted here. Boombox, prices starting at $28. Sugaring Services, $20 and up, Cane Sugar Studio. Brow Services, $45 and up, Michele Holmes Studio. Hero Shop, 982 Post Street, San Francisco. Jessica Silverman Gallery, 488 Ellis Street, San Francisco. Cala, 149 Fell St, San Francisco. For Future Reference, 426 Warren Street, Hudson, New York. For more on Lauren, check out the Harwell Godfrey site and Instagram feed! 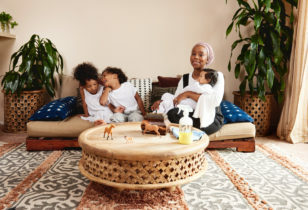 And for more Mother Essentials, peep our past columns with fellow jewelry designer Maggie Gavigan Smith of Mignonne Gavigan, Oakland retail queen Sherri McMullen, PR pro Priscilla Vega, Courtney Klein of Storq, Joanne Encarnacion, LaTonya Yvette, Morgan Walker of Make.do, Jeanne Chan of Harlow & Grey, and more.